iRumorMill.com- a news service, fact checker and rumor debunker all on one website. Internet Investigations and reporting. Welcome to The iRumor Mill where Internet investigators look into conspiracy theories, rumors on the Web, fake news, paranormal investigation, scams, virus attack and warnings. We post new findings here every day, so visit us often and tell your friends. Please follow us on Facebook and Twitter so we can keep you posted of new findings. The Royal Mail Steamship (R.M.S.) Queen Mary is an ocean liner that was originally owned and operated by Cunard, which was retired in 1967 and sold to the City of Long Beach. When the ship opened her doors to the public in 1971 guests and staff began to report paranormal incidents, such as apparitions, objects moving, doors opening and disembodied voices. This is an ongoing investigation! Special Report: On April 18, 2019 the Justice Department (DOJ) released the long awaited Mueller Report. iRumormill.com makes it available to you to read. The Colorado Street Bridge spanning the Arroyo Seco in Pasadena was built in 1912. Since the early 20th Century people have been leaping from it to their deaths, which earned it's nickname, "Suicide Bridge." The bridge and its surrounding area are believed to harvest paranormal activity in the forms of disembodied voices and apparitions. Viral reports alleging that a San Mateo restaurant owner refuses service to anyone wearing a Make America Great Again hat. 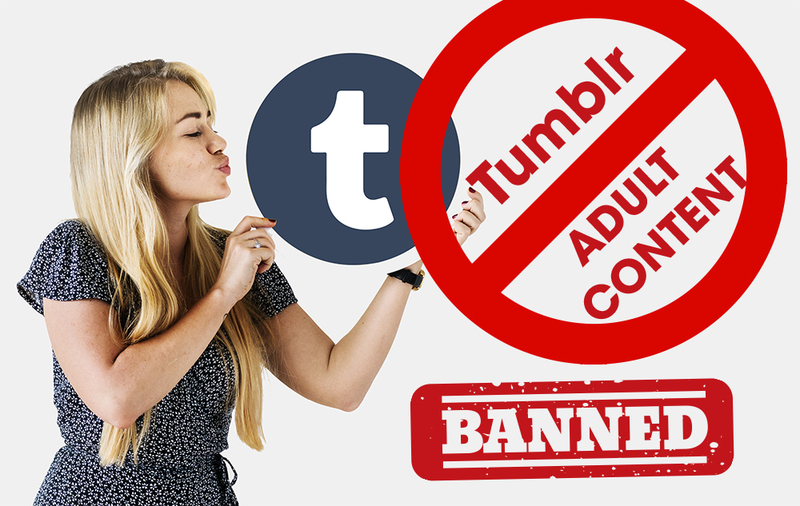 Viral Reports that the social media site, Tumblr, has announced a ban on adult content. Reports of the release of three suspects tied to a Muslim extremists training compound in New Mexico where children were taught to be school shooters have gone viral. The reports say that the judge hearing the case dismissed all of the charges. Viral meme allegedly taken in the locker room of the Seattle Seahawks showing players cheering as defensive end Michael Bennett burns the American flag. Viral article alleging the planet Mars will be as big as the Moon on July 27, 2018. This is a rare cosmic event that only happens every 35,000 years. After President Trump invoke a Zero Tolerance with illegal immigrants reports that children were being separated from their parents went viral. Critics of Trump claimed it was his policy cage the undocumented minors. Concerned citizens ask if Trump was the only President to separate illegals caught at the border. For 'his tireless work to bring peace to our world,' Donald Trump has been formally nominated for a Nobel Prize. Viral reports alleging that the town council of Los Alamitos has voted to opt out of Governor Brown's sanctuary law. Viral reports of the death of renowned physicist Stephen Hawking. Reports have gone viral alleging the National Football League (NFL) paid players to stand for the National Anthem that opened the 2018 Super Ball. Viral reports of the disappearance of 50,000 text messages between FBI senior counter-intelligence agent Peter Strzok and FBI lawyer Lisa Page. More recent allegations hint that they were they part of a "Secret Society" within the U.S. Government to bring down Donald Trump. On Dec. 18, 2017 United Airlines passenger Jean-Marie Simon was bumped from her first class seat leaving Houston and found out that U.S. Congresswoman Sheila Jackson Lee (D-TX) was occupying it. In a tweeted vent Simon wrote, "Sheila Jackson Lee (D-Texas) in seat 1A the one I paid for dearly, and the one United gave to her without my consent or knowledge! Fellow congressman on same flight said she does it repeatedly." Viral reports alleging that House Minority Leader Nancy Pelosi (D-CA) delivered an ultimatum to Californians, if they are not a Democrat that they should leave California. Viral reports alleging that an Anglican cleric has urged believers to pray for Prince George to find the love “of a fine young gentleman” when he grows up. A viral account by KABC 790's morning anchor, Leeann Tweeden, alleging sexual misconduct by Al Franken. Tweeden released an article on the website of KABC that said she was repeatedly kissed by Franken and while she was asleep on a plane on the way to a USO show, Franken posed for a photo while groping her. Viral reports alleging Rep. Steve Cohen (D-TN) called pro-life advocate Star Parker ignorant because she told him it was “disingenuous” to equate abortion with other challenges facing poor communities. On Nov. 5, 2017 Devin P. Kelley, dressed in body armor and armed with a 5.56-millimeter Ruger semiautomatic rifle stormed into a the First Baptist Church in the peaceful Texas community of Sutherland Springs and began shooting the congregation. Stephen Willeford lives next door to the church when he heard the shooting. He grabbed his AR-15 and shot Kelley twice, once in the leg and one shot landed in his torso. Kelley dropped his weapon and fled from the scene. Democratic elected officials were quick to demand stronger gun laws but neglected to mention that a good guy with a gun stopped the Texas church shooter. In response to a tax reform vote plea sent by Gov. Jerry Brown (D-CA) to GOP Congressional members Rep. Darrell Issa (R-CA) sent him a scolding letter for imposing the "highest sales and personal income tax rates in the entire country." 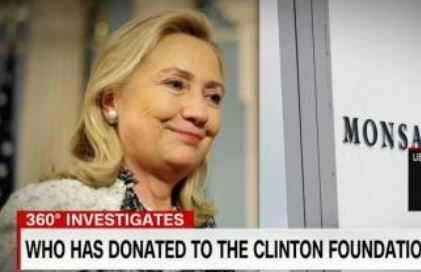 WikiLeaks: Hillary Clinton Bribed 6 Republicans To "Destroy Trump"
Viral Reports alleging WikiLeaks released emails from John Podesta to Huma Abedin, uncovering a plan to divert Clinton campaign funds to various GOP members who were secretly on the Clinton payroll. 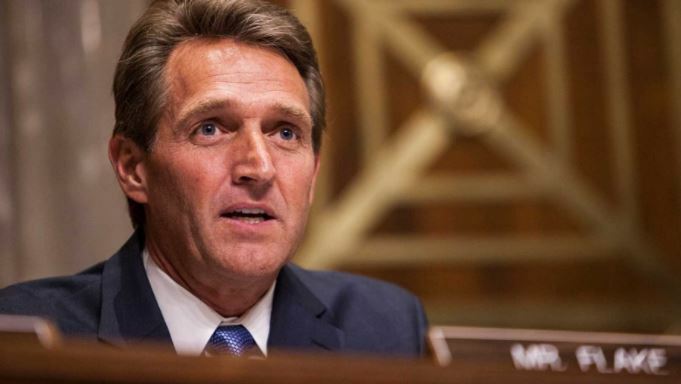 Viral reports of Sen. Jeff Flake (R-Ariz) announcing his decision to not seek re-election and criticized President Trump for several more minutes on the Senate Floor. Viral reports of Jimmy Carter, who is often critical of Presidents in the Oval Office, criticized the media for cracking down too hard on President Trump. Reports of President Donald Trump removing a Muslim judge for allowing Sharia in Dearborn, Michigan. Viral reports of a judge handing down a sentence of 8 years in prison and a deportation order following release to an illegal alien who registered to vote and cast ballots in Texas. Viral reports on social media alleging singer Nancy Sinatra called for the execution by firing squad to all members of the NRA after the shooting attack in Las Vegas. Viral reports alleging the flight crew of the jet used to transport the New Orleans Saints had enough of the players display of disrespect of the flag and veterans and walked off the plane, leaving them stranded on the tarmac. Reports that Governor Jerry Brown (D-CA) and his state assembly have set aside $30 Million tax dollars to assist with the financial aid and legal services of those who were smuggled across our border as children. This is in response to the recent decision to cancel the Deferred Action for Childhood Arrivals (DACA) by President Trump. Viral quote allegedly made by radio host Howard Stern, "I have vowed I will never vote for a Democrat again no matter who they are I don't care if God becomes a Democrat these Democrats are communists." Reports have gone viral on the Web alleging a 100 million dollar donation to help rebuild Houston from Prince William and his brother Harry. Reports that the Los Angeles City Council voted to replace Columbus Day with Indigenous Peoples Day on city calendar. Viral photo on social media of Vogue fashion writer, Lynn Yaeger, who wrote a scathing article criticizing Fist Lady Melania Trump for wearing high heeled shoes on her way to area ravaged by Hurricane Harvey. Viral video of President Trump explaining why he pardoned Sheriff Joe Arpaio. Viral social media posts warning of a Shark swimming on the streets in the aftermath of Hurricane Harvey. Viral reports that Missouri Lieutenant Governor Mike Parson has called for immediate resignation of State Senator Maria Chappelle-Nadal after she posted "I Hope Trump Is Assassinated!" on social media. Viral reports that ESPN has pulled Announcer Robert Lee from covering the University of Virginal football game in the aftermath of the violence in Charlottesville. Viral social media posts that allege NASA has confirmed that the Earth will experience 15 Days of darkness starting November 15, 2017. Viral reports of protesters demanding to remove a statue of President Theodore Roosevelt from the American Museum of Natural History in New York City because they allege he was a "racist." South Carolina police warned "Don’t shoot Bigfoot"
Viral reports of sightings of the elusive "Bigfoot" prompts law enforcement officials to warn citizens not to shoot it. Viral allegations about the energy used to power the home of Al Gore. 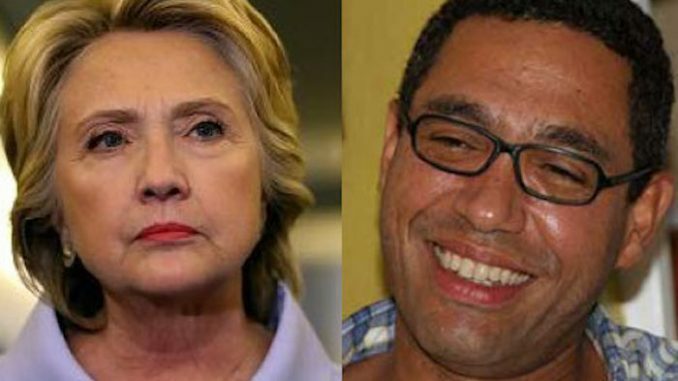 Viral reports of the death of Klaus Eberwein, a former official for the Haitian government who was scheduled to testify in the Clinton Foundation malpractice and corruption case was discovered dead from a self inflicted gunshot wound in Miami. Conspiracy theorists are speculating an addition to the "Clinton Body Count." Donald Trump Jr. has admitted to having a meeting with Russian lawyer Natalia Veselnitskaya. There are viral allegations of Veselnitskaya's involvement with the Kremlin. 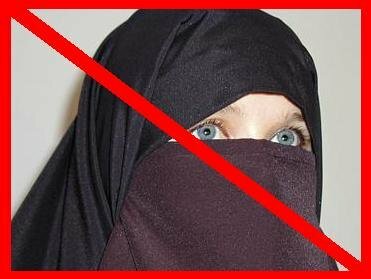 Ban on public face veils throughout many countries in Europe has been sparking controversy. Viral Reports that California Gov. Jerry Brown has signed into law that Christians in the Golden State must register their bibles as assault weapons. 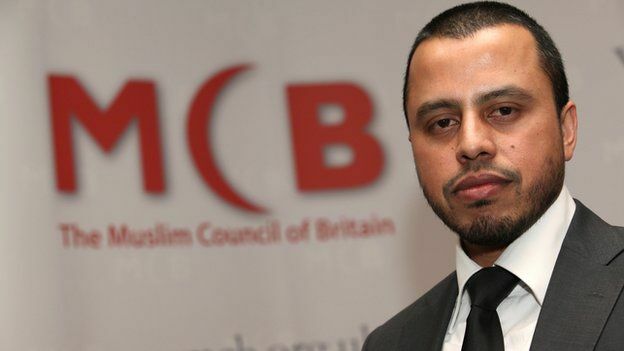 Reports that the Secretary General of the Muslim Council of Britain, Harun Khan, issued a statement after the June 2017 terrorist attack in London. Reports of the cancellation of an appearance of Ann Coulter on the campus of U.C. Berkeley owing to concerns of recent eruptions from violent protesters. Kassem Eid, a Syrian who in 2013 survived a chemical attack by the Assad regime was interviewed on CNN by Brook Baldwin. Eid expressed gratitude for Trump's order to bomb a Syrian Airbase from where a chemical attack was alleged to be launched. CNN's Brooke Baldwin tried to turn the table on Eid by asking his opinion on the Trump executive orders to ban Syrian refugees and his response was still in support of President Trump's decisions. On May 7, 1915 the Cunard Ocean Liner, R.M.S. 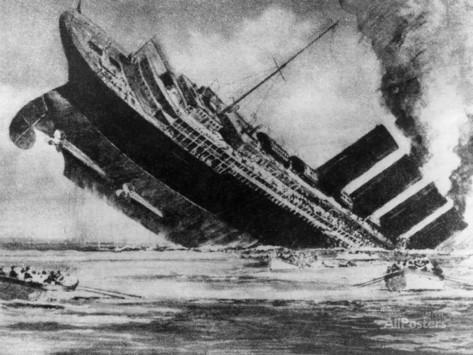 Lusitania, was targeted and sunk by a German U-boat's last torpedo off the coast of Ireland on her return to Liverpool from New York. For over 100 years stories of passengers hearing two explosions before she sank have conspiracy theorists speculating that she was carrying American munitions to help Britain in the war effort. Viral allegations that President Obama ordered the wire tapping of President Elect Trumps transition team at Trump Tower in New York. Conspiracy theorists are speculating a silent coup on the Trump Administration by Barack Obama. Report of a student's father in New York whow was outraged after his daughter came home with a homework assignment with a politicized question. After the election of Donald Trump, various reports have gone viral that Russians hacked the election. Allegations that the media and the Democrats have politicized the issue because these incidents have been dating back as far as 2003. Reports that the Clinton Foundation accepted a $1 million gift from Qatar while Hillary Clinton was U.S. secretary of state. The State Department was supposed to be informed by her when the charity received substantial gifts from foreign governments. Reports that the Iraqi army discovered multiple U.S. made anti-tank weapons in the possession of ISIS during an advance on Mosul. Many are asking if the U.S. has been arming ISIS. Members of U.S. Government and press are incorrectly calling the AR-15 rifle an "assault weapon." A 1912 conspiracy theory that alleges White Star Line executives switched the newly built Royal Mail Steamship (R.M.S.) Titanic for her sister ship, R.M.S. Olympic, after a collision with the HMS Hawke resulted in damages not covered by the insurance company. An ongoing investigation into the mysterious sect of land in the Nevada desert known as "Area 51." Disney Threatens Boycott Over Georgia's "Free Exercise Protection Act"
Former Secret Service Agent: "People Need to Know The Real Hillary Clinton And How Dangerous She Is"
Hillary Clinton: ISIS is "going to people showing videos of Donald Trump insulting Islam and Muslims in order to recruit more radical jihadists." conspiracy theories, iRumors, scams, virus attacks and warning at the top of this page.